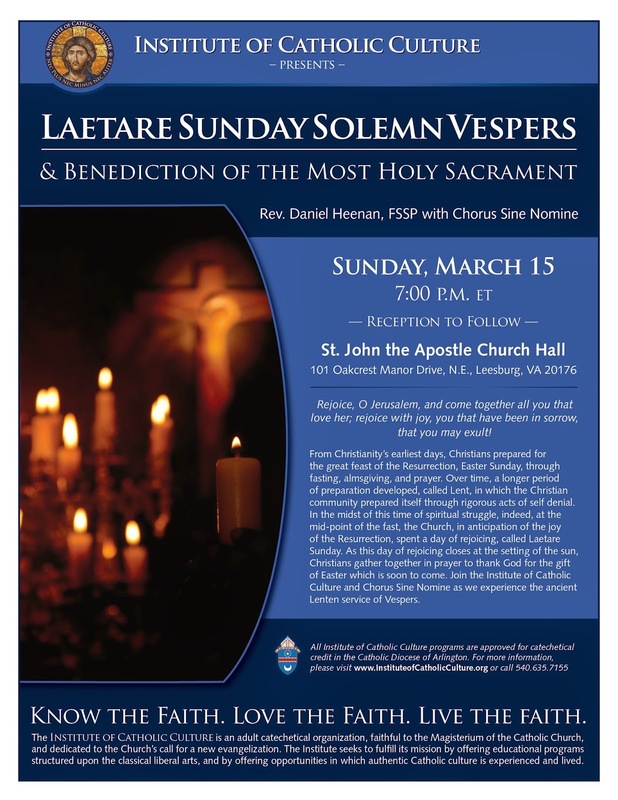 Join the Institute of Catholic Culture for Laetare Sunday Solemn Vespers! Following Vespers in the Church, there will be a special reception in the Church hall and talk by Fr. Heenan on Cult, Culture and Conversion: How Catholicism Converted the World and How We Can Do It Again. All are welcome. No registration required. Free admission.